I was kindly sent the eye cream and lifting cream for consideration to review. I had previously tried a couple of their other products (see HERE) and loved them, so was really excited to receive these. I have never used a "decent" eye cream, but my tired mummy eyes are definitely ageing me recently. Whilst I'm ok with that, I mean thats what we're supposed to do, I would like slow the process and age gracefully! The eye cream is thick and nourishing, I apply it with my ring finger around my eye socket and let the cream absorb into the skin. This product contains sweet almond oil and shea butter, both work to lock in moisture and and keep the area hydrated. I was also very pleased to see it includes citric acid, which helps to even skin tone - which it does (hurrah! ), as the skin around my eyes suffers from this. In the last two weeks I have been using this, my eyes seem a lot more awake and fine lines actually seem reduced! So I am very pleased with its results. The only bug bare here is the price, but having said that a little goes a long way and it does work - so will be going on my permanent skin care routine shopping list! Next I tried the Lifting Cream, again a very moisturising product, which is key to keeping skin youthful. This is a product I would only use at night as it takes a while to sink into the skin. However, in the morning my skin looks a lot more radiant. This is something that I have enjoyed using, but its not something I would purchase again. I think its slightly overpriced and I just couldn't justify spending almost £35 on. 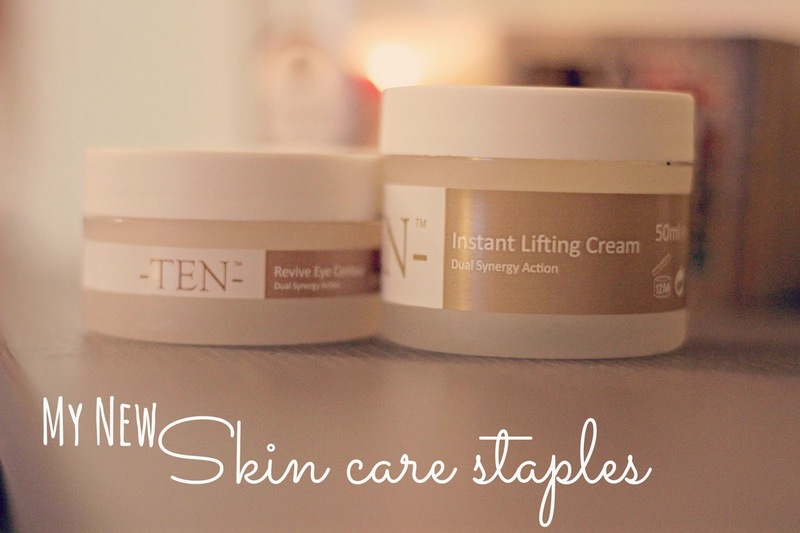 What do you make of the new TEN's Anti-Aging range? Have you tried any of their products before?